In a previous post, I touched on the “great catastrophe” that claimed the lives of nearly three quarters of the Armenian population between 1915 and 1919. It is still not recognized as a genocide in some parts of the world. Turkey, most notably. And, sadly, Washington D.C. Again last spring, in recognition of the 100th anniversary, President Obama spoke eloquently about the “mass atrocity” but stopped short of using the G-word, thus breaking a campaign promise. Why does a word matter so much? Not to be trite, but what’s in a name? it matters because it claims the thing. It denotes acknowledgement, recognition, responsibility. The first steps toward reconciliation. The necessary ingredient for healing, for both victim and perpetrator. 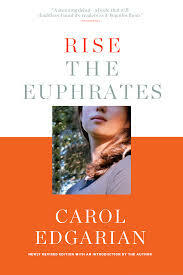 Carol Edgarian examines this truth and how it oscillates through both the macrocosm and the microcosm in her novel Rise The Euphrates, re-released in a new 20th anniversary edition. It’s an eloquent account of three generations of women and how the trauma survived by the grandmother during what she calls “the Indignities” shapes the lives of her daughter and granddaughter as they go about what looks like a normal middle-class life in Connecticut. When granddaughter Seta is born, her grandmother Casard charges her with finding the real name Casard lost as a young girl swept up in the atrocities. Finding her true name becomes the through line that takes us through the lives of all three women. The book is complex, sweeping, interlaced with themes of assimilation and identity, growth and loss, love and betrayal. And it is lusciously, lyrically, gorgeously written. Full confession: I was afraid to read it. Here I am, a fledgling novelist with every new writer’s insecurities fully operational, poking away on my first novel about my Armenian grandmother-in-law and her sisters and all that they went through to survive. Edgarian’s book stayed in my Amazon shopping cart for months, so almost ordered, so many times. The breathless reviews, the blurbs and accolades, the comparisons to Steinbeck’s East of Eden, Tan’s The Joy Luck Club, Stegner’s Angle of Repose — hell, Rick Bass invoked To Kill A Mockingbird in his blurb! Let’s just say I was intimidated. I worried I might read her book and be so swept away by its brilliance that I’d feed my manuscript to the shredder. 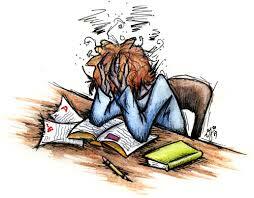 At least, I told myself, I needed to wait until I’d finished a couple of drafts of my book. Well, now I’m on draft five. 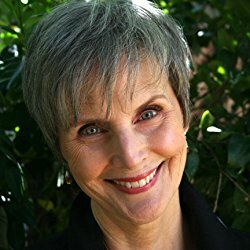 It’s been read by beta readers, discussed in writing classes. examined by my steadfast critique group. And so the universe decided it was time to give me a wee nudge. At the top of the pile was Rise The Euphrates. Signed by the author, no less. The book was nestled in my tote bag before I could think twice. Once I was home, I plunked myself down and began reading. It took me a bit less than five days to devour the whole thing. It’s not like the novel is a quick read; I just couldn’t stop. Edgarian writes with the kind of beauty that had me underlining and starring and circling passages on page after page. Another thing that excites me so much about Edgarian’s book is that it has such appeal for readers who aren’t of Armenian background, or who may know little if anything about the genocide (check out the reviews on Amazon). In that regard at least, it’s an important book. And it underscores with great sensitivity how much it matters to find the real name. And no, I haven’t tossed my book in the shredder. It’s a different angle on this story that hasn’t been told nearly enough. I am grateful to have read Edgarian’s. Tell your book group: Rise The Euphrates belongs on your list. Sounds so exciting Jan. Your journey, your writing, and your passion transfer strength in your blog. Thank you for writing this important piece! Actually I think it is good news for a writer when a book written about the same subject matter is a success. It means that people’s interest has been aroused and therefore that they are more likely to read another book on the subject. Your book will still be different and add to people’s awareness of this “forgotten” genocide. Glad you didn’t reach for the shredder! Now I want to read that book, too! And, when the time comes – which it will- I want to read yours,too. 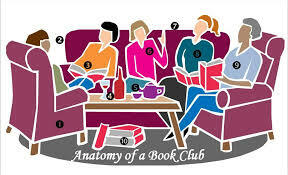 We really must start our own virtual book club.